Kyoshi Tverin began his training in Martial Arts at the age of 13 and has been actively training since then. He studied directly under Grandmaster Ernesto Castro for over 20 years. GM E.Castro was a private student of GM R. Cocatré and Technical Director of R. Cocatré int. De Bushido. In the early ‘90s Kyoshi Tverin also studied and taught Muay Thai. In addition to this he also trained in boxing during 1990-1992 and 2001-2002 and Tae Kwon Do during 1995-2007. Like in so many other styles and Arts Kyoshi found it impossibel not to go his own way and start Ronin Do International. 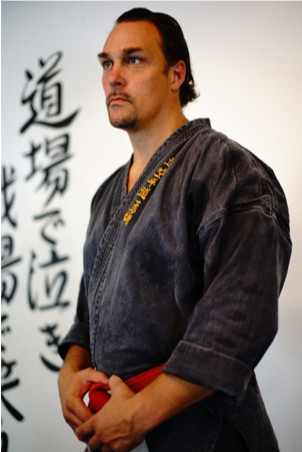 due to his increased knowledge in areas like Biomechanics, kinesioligy, how the nervous system works, mental training for both sports and self-defence. 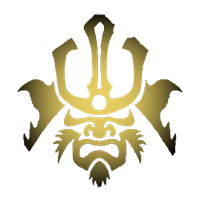 Kyoshi Tverin is often invited to both National and International camps as a instructor and has taught in the USA, UK, Spain, Germany, Portugal, Belgium, Denmark, France, Croatia and of course Sweden where Ronin Do Honbu Dojo is situated. The style of Ronin Do is a contemporary Self-Defence system. Karate, Ju Jutsu and Kickboxing are all practiced within the contemporary self defence system of Ronin Do and techniques that only have historical value and function are eliminated. All techniques are adapted to ensure that they are as effective as possible and the performance is based on a modern athletes physiology/psychology with a strong focus on the pupils own safety.